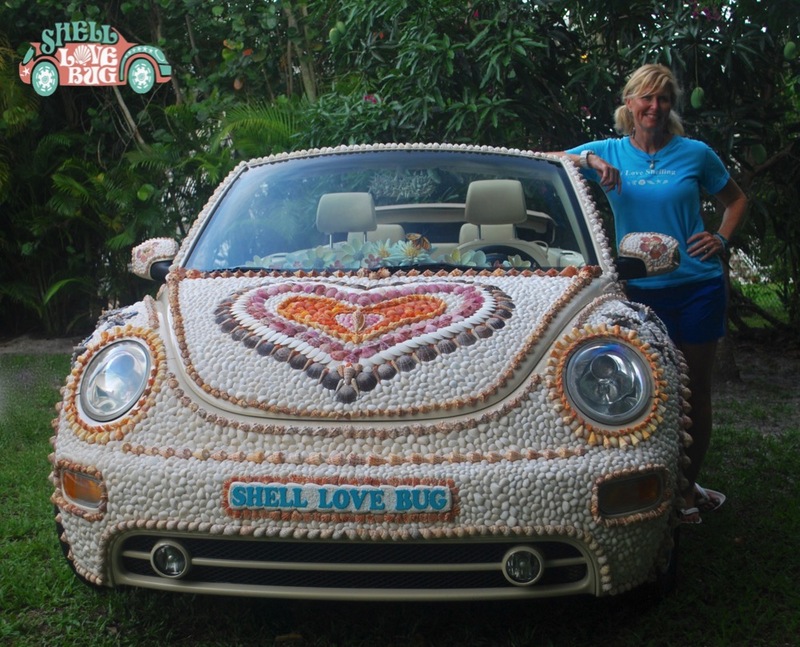 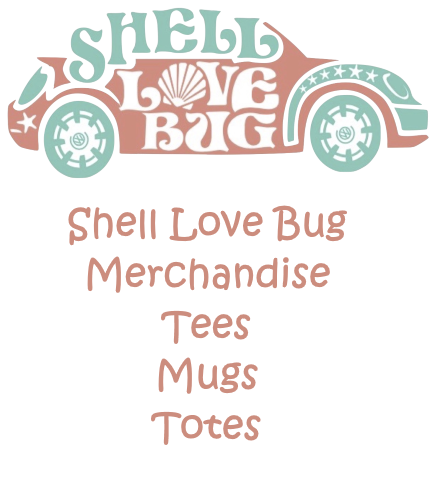 This seashell designed 2005 convertible Volkswagen beetle is the ultimate symbol for the love of seashells and shelling… hence the name Shell Love Bug. 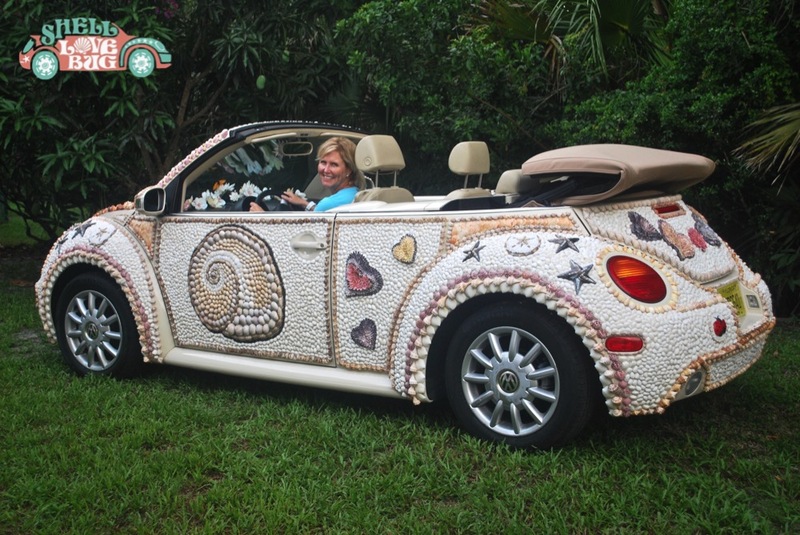 Most of the shells used to make this shelldazzled masterpiece are from the personal collection of Pam and Clark Rambo, Sanibel Shell crafters and oodles of shells donated by other obsessed shellers. 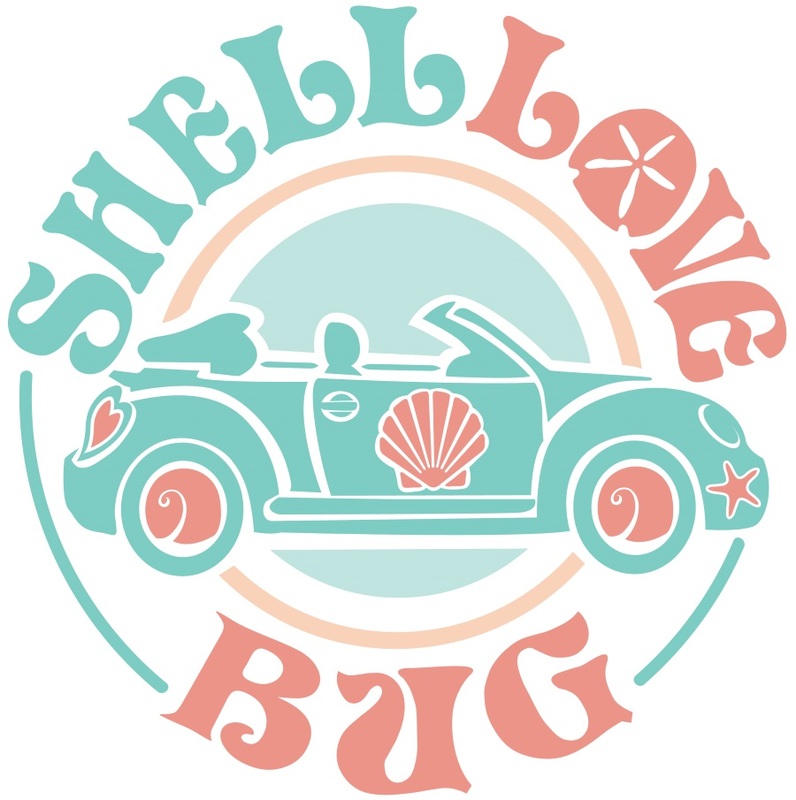 This is the biggest mobile Sailors Valentine on the planet!